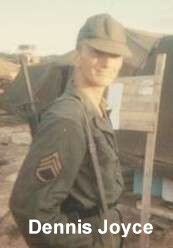 Dennis Joyce, US Army Retired, served in K Troop's 3rd Platoon on track K-30. Dennis lives in Lancaster, TX. 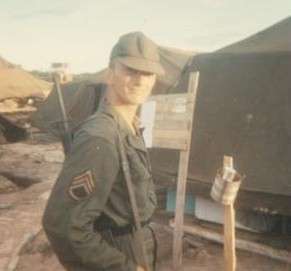 He has submitted a photo of himself taken outside 3rd Plt's. tent at Long Binh. Dennis Joyce Remembers Darrell Asa Jackson.